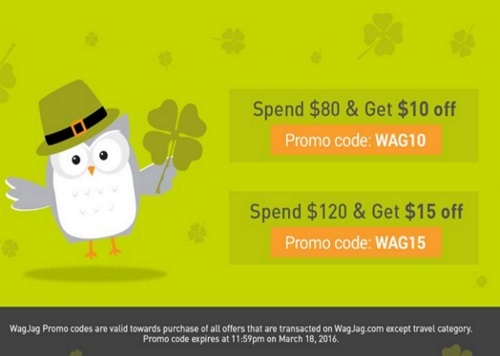 Wagjag is celebrating St.Patrick's Day with some promo codes! Save up to $15 off your order with t he promo codes below! Offer is valid until March 18 2016 at 11:59pm ET. Click here to shop Wagjag deals.